Dubai Parks and Resorts, the region’s largest integrated theme park destination, attracted more than 1.4 million visits during the first half of 2018, an increase of 46 per cent compared to the first half of 2017. The figures were announced by DXB Entertainments, who also said that April had been another peak month, with the theme parks attracting over 300,000 visits driven by the influx of tourists during the international school holiday season. In addition, the second annual ‘Big Day Out’ on 20 April set a new record for single day visitation, with over 36,000 visits. Dubai Parks and Resorts reported over 612,000 visits in Q2 2018, compared to 414,000 in the same period last year, growth of 48 per cent. Theme parks are seasonal in nature and while Dubai Parks and Resorts has delivered year-on-year growth, the warmer second and third quarters of the year typically deliver reduced visitor numbers than the cooler months of the first and fourth quarter. 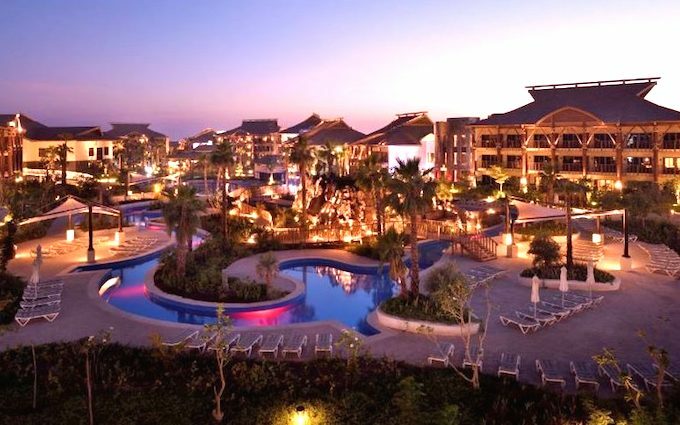 The Lapita Hotel average occupancy rose to 55 per cent in the first half of the year, a significant improvement on the 24 per cent occupancy rate that was reported during the same period last year. The increases are likely to be partly due to an agreement between Dubai Parks and Resorts and Dubai Airports to feature the theme park destination at all Dubai Airport terminals. The agreement has increased visibility for the attraction, identifying it to the 88 million passengers that travel through the airport annually. Dubai Parks and Resorts also recently announced a partnership with Emirates to offer its customers exclusive bundled offers. Mohamed Almulla, CEO and managing director, DXB Entertainments, said: “We are pleased to announce continued year on year growth in our visitor and hotel occupancy numbers.